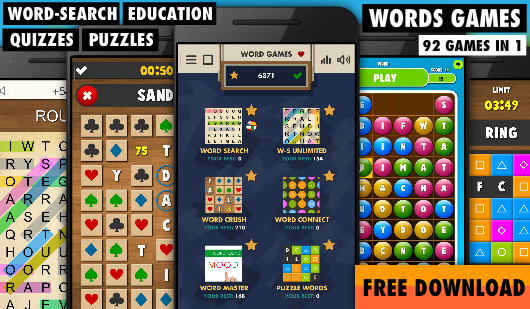 Will you become a Word Master in this new and challenging word search game? Compare you score with other people all around the world! Will you make it into TOP20 highscores? 1) Use your keyboard or click on the letters in the bottom part of the screen to create words. 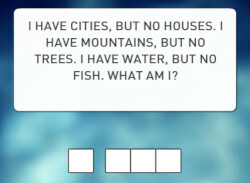 Each word must have at least 3 letters. 2) The game automatically recognizes if the word exists or not, if yes then the SUBMIT button will appear, press it to submit your word (or press spacebar/enter). 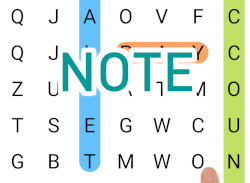 Remember, longer words you create, better score you get! 3) You can end the game and submit your overall score anytime you want by pressing the GREEN TICK button in the top right corner. 4) To erase the single letter just click on it. To erase all the letters press the ERASE button in the top left corner or press backspace key on your keyboard. 5) To shuffle/mix the letters press the SHUFFLE button in the top left corner.